Join LinkedIn to learn how they scaled Jira Software to meet their organization's hyper growth. LinkedIn runs the world's largest professional community with 500M worldwide members, 10M active jobs, 9M companies and 100k articles published weekly. Their Jira Software instance is equally large, currently accommodating 3 million issues and 2.5 million hits a day. How did LinkedIn scale their Jira instance to meet their hypergrowth and multitude of projects across the organization? Join LinkedIn's Arnie Matz, Director of Software Engineering, and Dan Hata, Senior Engineering Manager, to learn how they used focus, governance and innovation to scale their singular Jira instance, and find out what's next in their journey. Plus, get your questions ready for Q&A at the end. Arnie Matz has over 30 years of experience in operations and software development. 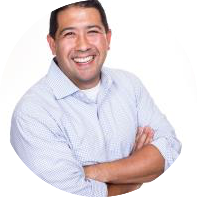 His passion lies in growing great careers, engineering and operations, data center management, and scalability. He is currently the director of Software Engineering at LinkedIn responsible for the critical infrastructure driving 500+ million careers. 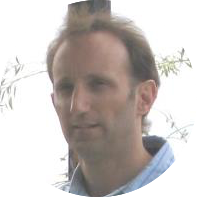 Dan Hata has over 15 years of experience in enterprise software making things bigger and faster. He is currently a Senior Engineering Manager at LinkedIn responsible for extending and scaling JIRA, Git, Artifactory and SVN. In his spare time he also ensures the development pipeline at LinkedIn has a healthy amount of OSX/Linux servers. Dan, his wife, Victoria, and daughter, Natalie, live in San Jose, CA.